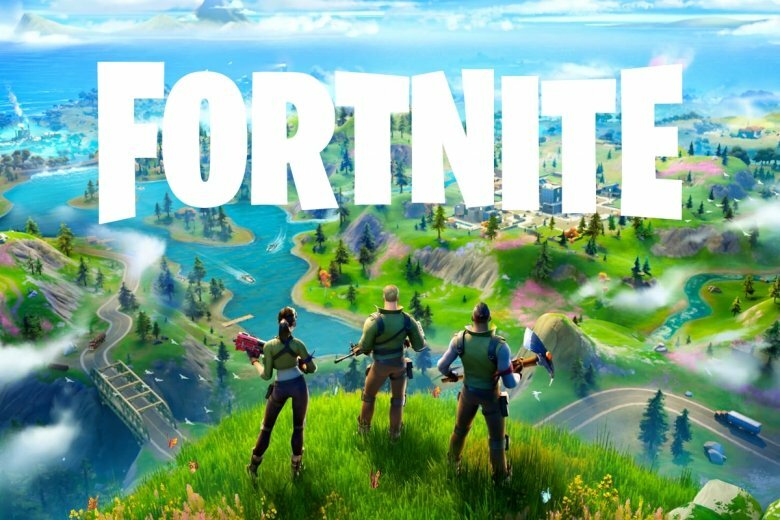 Ever since the release of its Battle Royale mode, Fortnite has become one of the most popular video games in the world on almost all the platforms on which it has ended up landing: Windows PC, macOS, PlayStation 4, Xbox One, Nintendo Switch, iOS, and finally Android. Its arrival on Google’s mobile operating system has been much awaited by the many fans of this action game in which 100 players have to fight to survive on a map that gets smaller and smaller until only one of them is left standing. Despite not being distributed through the usual channels for Android games, as it’s not available to be downloaded from the Play Store, millions of fans have already downloaded, or at least tried to, the APK of the best battle royale game at present, together with PUBG and other clones that have gradually appeared due to the success of these two mega games. Whether you’re an expert gamer that knows off by heart all the gameplays featuring Ninja or Myth, or a newbie that has decided to give Epic Games’ title a game mainly due to social pressure rather than being fully convinced, here we’ll offer you the best tips, tricks, help, and solutions to possible problems that you may come across when downloading, installing, and playing Fortnite on your Android smartphone or tablet. We’ll try to explain in depth everything you need to know before starting to play in order to make the most of your leisure time, all the information revolving around the Fortnite universe, all the new features introduced in each update and each new season, how to get hold of the new elements and weapons that appear, and any other hack or cheat that gets disclosed. You’ll soon become an expert in concepts and terms such as looting, V-Bucks, Battle Pass or emotes, and you’ll know more than anyone else about dances, trolls, rockets, jetpacks and shopping carts. And don’t forget, if you can’t find the answer to any question about Fortnite, don’t hesitate to ask us. We’ll be delighted to help you out! Fortnite’s creative mode is a new game in which we’ll have a private island all for ourselves and our friends and where we can carry out all sorts of constructions. In this mode, our goal is to build just like in Minecraft and unleash all our creativity and originality, therefore, there are no such things as enemies or weapons. It was initially conceived as a game available for those players that had a Battle Pass for anyone else although it as later opened to all players without exception. In the future we expect the possibility to create customized games in our own worlds together with the users of our choice. We still don’t know how to play with Wreck-It Ralph on Fortnite since the information about the latter is quite scarce. The fact is that Epic Games seems to have reached an agreement with Disney taking advantage of the premiere of the movie Ralph Breaks the Internet that was initially released in the USA on November 21st. Food Fight is a new time-limited game mode that has been added to Fortnite in the new patch 6.30 just before the beginning of Season 7. It involves two teams of players fighting to protect their mascot and is based on the alleged rivalry between Durr Burger and Pizza Pit. Each team represents one of these sides and must stop the other one from destroying their mascot’s giant head. The latter can be found in each one of the restaurants still under construction located in the center of the map. At this point there are still quite a few things we don’t know about the new features available in Fortnite Season 7. Nevertheless, we can advance some of them such as its release date, which will take place on December 6th, although we wouldn’t be surprised if it gets delayed just like Season 6 which appeared 10 days later than expected. Epic Games has reached an agreement with the NFL to offer Fortnite players the possibility to equip its characters with the uniforms of the different teams of the American National Football League. To get them we only have to go to the game’s store where they will appear together with the rest of items that we can purchase to customize the game’s characters. Fortnite’s balloons are new items for the Fortnite Battle Royale mode that allow players to float up into the air fly during the game. From the skies they will be able to surprise other gamers that may not have noticed their presence. Therefore, they can be very useful to set up ambushes from the heights or to gain new shooting angles. Nevertheless, floating up in the air also has its cons because we can become easy targets for anyone who sees us as we’ll have nowhere to hide or go unnoticed. Millions of Fortnite fans all over the world have been eagerly awaiting the arrival of Season 6 and now it’s here. The new battle pass includes loads of new features mainly aimed at the Halloween festivity that will take place at the end of October. Each new scenario and element shows us a terrifying and gloomy aspect, without losing that classic cartoonish touch that everyone loves about Fortnite and that has helped to turn this game into the undeniable leader of the battle royale genre, ahead of PUBG. Fortnite’s Port-a-Fortress grenade is a consumable item that allows us to build a giant fortress almost instantly to defend ourselves against the attacks of any enemy. With this object, we can prevent being unprotected if we fall into an ambush or a sudden and unexpected attack, offering us a solid shelter to fend off our enemies. The release of Fortnite for Android took place on August 9th 2018 but only for Android devices belonging to the Samsung Galaxy range such as S7 / S7 Edge, S8 / S8+, S9 / S9+, Note 8, Note 9, Tab S3, and Tab S4. The rest of Android smartphones, both from Samsung and other brands, will be able to download the game about a month later. The Fortnite rocket is a special event that took place on June 30th, 2018. After a countdown that had been showing to the players of this successful battle royale shooter for quite some time, a rocket was launched into the sky live in front of many of the game’s users, becoming a historical event as it was the first time this kind of episode takes place live and witnessed by the players of a video game. This rocket raised into the sky to fall back down to Earth and crash into the area of Tilted Towers, modifying the settings on which the action of Fortnite takes place. To use it, the best option is to throw it into an area with plenty of enemies to force them to come out of their hideouts. It can be more harmful if we use it in closed areas, but apart from its destruction power, it’s also interesting because we can force our enemies to come out, allowing us to shoot at them easier. We can also anticipate to their movements, as our rivals we’ll go around their perimeter and you can know precisely what area they’re going to cover, or even lead them to a place where we’ve set up a trap or ambush. In other words, it’s a tactical weapon, the efficiency of which depends on how skillful we are to combine it with other strategies. The Fortnite meteorite is an Easter Egg that was introduced in one of the latest updates. At the beginning it was only seen as a dot in the sky that could hardly be noticed, but in each new version of the game it got bigger and bigger, causing plenty of rumors and theories about its presence, until if finally fell in Dusty Divot, turning the area into a huge crater, which we can access to observer the damage and destruction caused. There we can find remains of the meteorite spread around the scenario, called Hop Rocks that provide us with the power to jump higher than usual, as if there were no gravity, if we touch them. Fortnite usually runs at 60 frames per second but it can be optimized to go faster by changing different configuration options. For such purpose, in the first place, we have to go to the settings menu where we can find different windows with the parameters to be modified. Emotes are the dances available in Fortnite Battle Royale that each character can do. The latter aren’t free as they have to be purchased from the game’s store. There are dozens of them and at different prices. To be able to dance, apart from purchasing at least one emote, you need to press the correct button. On a computer, the default key is B, whilst on PS4 and Xbox One, we have to move the direction pad down. There are two options to get a jetpack, being the first one the most obvious: killing an enemy that has one to steal it. The second option is up to our luck because this object appears in chests distributed all over the game’s map. Bear in mind that you need to have a free slot in your inventory to be able to keep it. For the time being, the creation of private matches in Fortnite is only available for certain streamers on Twitch. This functions should be expanded to the rest of players sometime soon, but we can’t confirm when because it’s a mode on trial. These gamers can create match in which a key is generated and later shared with the other players that will also take part. In other words, if you’re not one of the streamers chosen or you haven’t received an invite with a private key, there’s no way that we can take part in a private game. The players with the code must go to the game’s home screen and insert it in the option found in the lower right corner of the interface. The sale of skins in Fortnite is restricted by Epic Games and is only possible when its developers decide to open a period to refund cosmetic items, such as the above-mentioned skins or others such as emotes, backpacks or parachutes. Dancing in Fortnite depends on the platform on which you’re playing. On a computer, the default key to dance is B, and on PS4 or Xbox One console we simply have to press the down button on the direction pad. However, if you’re not very fond of this key, just go to the game’s Settings menu and change it. Landing faster depends on the speed with which we get out of the bus and on when we open our glider or umbrella. The game doesn’t come along with a tutorial to teach us how to optimize our time but we can easily learn with a bit of practice and bearing in mind a few details. Solo Showdown is a game mode available for a limited time in which each player has to try to increase his V-Bucks counter. This game mode is about facing the best Fortnite players in the world up against each other in a manoeuver on behalf of Epic Games to introduce this title into the eSports circuit. Save the World is one of the game modes available in Fortnite (the other one is the Battle Royale mode that has made it so popular). It’s a cooperative survival game mode in which the players have to explore, search for resources, create weapons, build fortified structures to take shelter, place traps and ambushes, and fight against monsters. It’s a kind of Minecraft but full of zombies. If we decide to play Fortnite in this game mode, we’ll have to think up a strategy to manage our operations base (with all the maintenance operations that it involves) and also to complete all sorts of missions (finding resources or wiping out enemies, for instance). Locating the dancefloors was one of the challenges introduced in week 8 of Battle Pass which was all about finding three of them and also dancing on them. They are quite far apart from each other on the map and can’t be seen unless we’re really close to them, therefore, it’s quite usual not to complete the challenge in a single game session. This is the location of each one of the floors on which you’ll obviously have to dance to complete the quest. Fortnite’s 50 versus 50 mode offers us a massive battle between two teams of 50 players each in which they have to face up to each other during a limited period of time. How it works is quite simple. Each player chooses for which team they want to play, being able to play solo or with up to three friends at once. Once on the battlefield, each team member is identified with a green indication on the map hovering over their heads. The map will gradually get smaller so both teams will come closer and the last player or players standing win. Fortnite games can be watched online whether live or on-demand and there are two main resources to do so: making use of game streaming services of the likes of Twitch or Mixer (owned by Microsoft) or resorting to a classic of the likes of YouTube. Fortnite Mobile offers its users the possibility to play this game wherever their go straight from their smartphone but it also involves a disadvantage because any mobile user will be more limited than a player accessing from a PC, Xbox One or PS4, especially bearing in mind that they’re going to face up to each other in an all-versus-all online game. Therefore, the best way to control Fortnite is adding a gamepad to our mobile device because, regardless of how powerful your phone may be, your touchscreen response will never be as fast and accurate as the analogical controls used on other platforms: anyone with a keyboard or gamepad can be quicker than user on a smartphone or tablet equipped with a touchscreen. Fortnite for Android, just like the version for iPhone, despite being a mobile edition of the famous battle royale game, is based on an identical gameplay system to that of the video console and PC versions. Mainly because all versions, regardless of the platform on which the user plays the game, share the same servers. This is a battle royale game which means that our target is to survive in all versus all combat. There are 100 players, including ourselves, taking part in each game although there’s also the possibility to establish alliances with other gamers in order to defeat the strongest rivals. However, at a certain point we’ll have to break that agreement to face up to them.